Michael Gwyl Bevan, the former Australian ODI batsman has been assigned as the coach of Kings XI Punjab Team for upcoming fourth version of IPL in 2011. 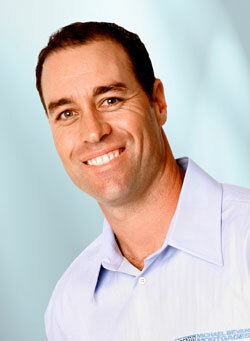 Michael Bevan, nick named as Bevo has replaced the Tom Moody as coach and will take the charge of the Punjab Team. The Australian left handed batsman and slow left arm bowler had started his first One Day International match with Australian Team in 1994 Austral-Asia Cup and got retirement in 2007 due to injury. He was known as one of the top ODI batsmen because of his longer existence and extraordinary average during his cricket career. Bevan, now 40, had performed 232 matches with Australian Team with an astonishing average of 58 all over made 6912 runs with 46 fifties and six centuries. He played only 18 Test matches but he get success to achive "a keyplayer name tag" on difficult time of his team. During the conquering World Cup winning of Australia in 1999 and 2003, he was integral part of the World Cup Final of Australian Team. Beven was also played for Southern Redbacks, Sussex County Cricket Club, and Yorkshire County Cricket Club. On his appointment, Beven said that he has been as a part of IPL since first season of IPL and he thanks to his new role of coach in Kings XI Punjab Team. He also added that he loves this alluring cricket game and somewhat excited to coach a team with the same passion. He also quoted, "The immediate focus of course is on getting the right pool of talent in the upcoming auctions in Bangalore. Post that, my boys and I promise to deliver some great cricketing moments this season of IPL." As a coach of Kings XI Punjab, beven told that he knew the value of Indian cricketers and cricket as a game itself in India. Last year Punjab had lost 10 out of their 14 matches and closed at the bottom of the league. Beven said that his first work as a coach will be creation of team which will win as many as matches by using his previous experience of coaching of Chennai Superstars. On the occasion of appointment promoters of franchise said that they were glad to have Michael Beven as their coach for the upcoming edition of IPL cricket match. They also added that the Beven’s rich practice, vast expertise and sheer commitment to the game will definitely help the players to boost their skills. The COO of Kings XI Punjab Col. Arvinder, said: "We are delighted to be associated with a reliable and a complete cricketer like Bevan. We look forward to his association and welcome him to our KXIP family. His contribution to the team will be an added advantage for the players and help them deliver their best both on and off the field." The involvement of Micheal Beven to Punjab Team will put in benefits for players and give them new hope to deliver their best outputs in both on and off field in the coming auction which will be held on 8 and 9 January.